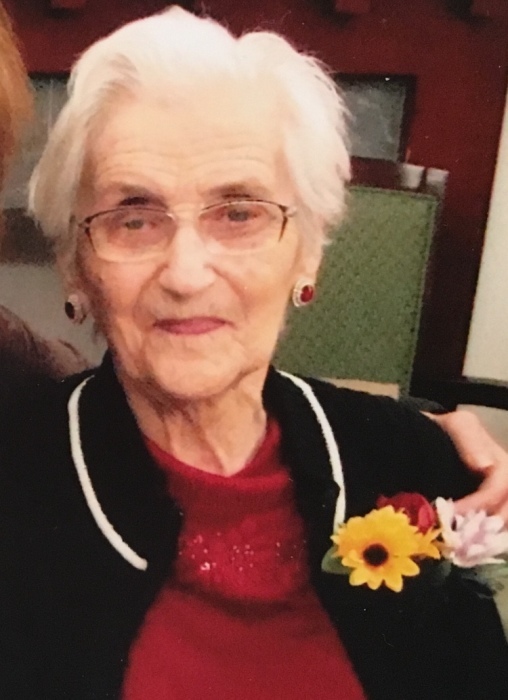 Effie Sasyniuk (nee Achtymichuk) September 30, 1911 - March 14, 2018. After a long and healthy life our beloved mother, grandmother and great grandmother passed away peacefully in her sleep on March 14, 2018 at the age of 106 years. She was born on September 30, 1911 to Michael & Lena ( Teslek) Achtymichuk in Rhein, Saskatchewan. Effie was the youngest of five children. She attended the New Canadian School and Freeman School in Rhein. In 1933, she married Michael Sasyniuk. Their married life began in Kamsack then took them to Winnipeg were Effie attended a hairdressing course and Michael a barber course. Effie and Michael returned to Kamsack where they lived together for 49 1/2 years. After 12 1/2 successful and fulfilling years hairdressing, Effie decided she wanted a change. She sold her business and worked for 6 years at the RCA store followed by 7 1/2 years at Thomas Drugs. In 1993, Effie sold her home and moved into Davis Towers. Being in good health, she enjoyed daily walks, regular coffee outings, and spending time with family and friends. In 2011 Effie moved to Calgary, Alberta to be closer to her family , living at Westview Lodge and then the Beverly Centre. Effie will be dearly missed by her two sons; Findley (Eveline) and Clifford (Linda); granddaughters Tracy (Bob Schiesser), Treny (Alex Eberts) and Trixy (Mike Walt); and great granddaughters Alexandra, Samantha & Danika Schiesser and Mya & Ava Walt.